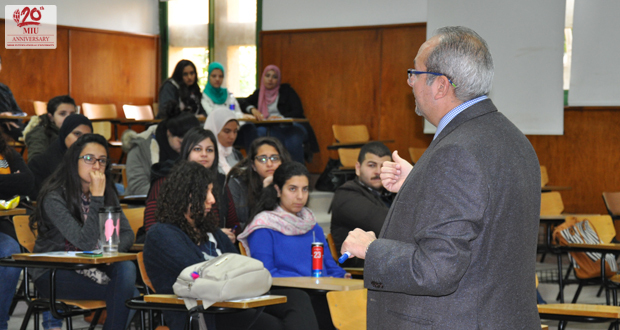 As Misr International University constantly aspires to provide its students with the best academic and practical knowledge and experience, the Faculty of Business Administration and International Trade organized three workshops for its management-major students. The first workshop was entitled “Driving Business Results with Talent Management” instructed by Dr. Magued Naguib on Tuesday, February 21st, 2017 and it tackled competency–based job analysis as well as talent acquisition, development, identification and retention. 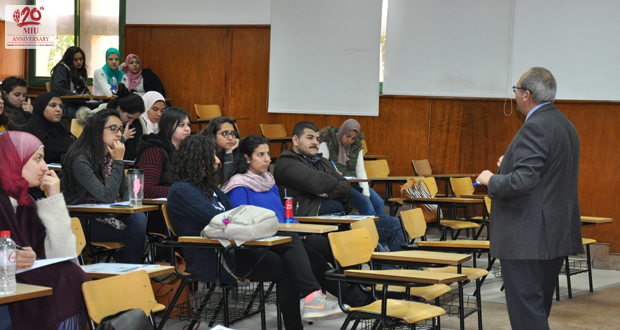 The second workshop was on Tuesday, February 27th under the title of “HR Policies and Procedures” by Dr. Salah El Reffai, as he discussed why businesses need HR policies and procedures, the general definition of policy and procedure, and developing a policy or a procedure. Finally, the third workshop was entitled “Basics Finance for HR Professional” by Mr. Wael Abdel Kader on Tuesday, March 7th, 2017, as Mr. Abdel Kader explained the role of shareholders, partners, businessmen, investors, financial analysts, etc.